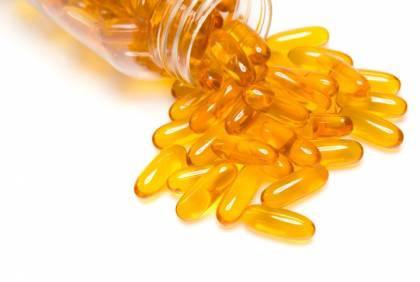 The popular dietary supplement ubiquinone, also known as Coenzyme Q10, is widely believed to function as an antioxidant, protecting cells against damage from free radicals. But a new study by McGill scientists finds that ubiquinone is not a crucial antioxidant – and that consuming it is unlikely to provide any benefit. The findings, by a team led by Professor Siegfried Hekimi in McGill’s Department of Biology, were published on March 6 in Nature Communications. Ubiquinone is a lipid-like substance found naturally in all cells of the body. Cells need it to produce energy from nutrients and oxygen – a function performed by tiny structures, known as mitochondria, within cells. Because it was also thought to function as an antioxidant, ubiquinone has been recommended for a variety of ills and as an anti-aging supplement; global sales of the substance are estimated to amount to hundreds of millions of dollars a year. In order to study how energy metabolism affects aging, the McGill researchers created the first strain of mice in which scientists are able to gradually eliminate ubiquinone – and then to restore it at will to normal levels. Because of ubiquinone’s role in energy production, loss of the substance in the mice led to severe sickness and early death. But the researchers were surprised to find no signs of elevated oxidative damage to cell membranes or DNA from free radicals, the sometimes-harmful molecules created by the oxygen chemistry during metabolism. The team also determined that this unexpected lack of damage didn’t stem from deployment of some other antioxidant strategies by the animals. At the same time, the research yielded new insights into the importance of ubiquinone in helping mitochondria produce energy. “Many patients are sick because their mitochondria don’t work properly, including because they don’t contain enough ubiquinone,” Hekimi says. “We’ll be using the results of this study to devise ways, and possibly new drugs, to boost ubiquinone levels or help residual ubiquinone to function effectively in defective mitochondria.” To that end, his research team recently received a grant from MitoCanada, a charity that seeks to help patients with mitochondrial diseases.